When Ontario's previous Liberal government boosted the minimum wage to $14 an hour and promised every employee two paid sick days a year, some predictions of its effect on the economy and jobs verged on apocalyptic. 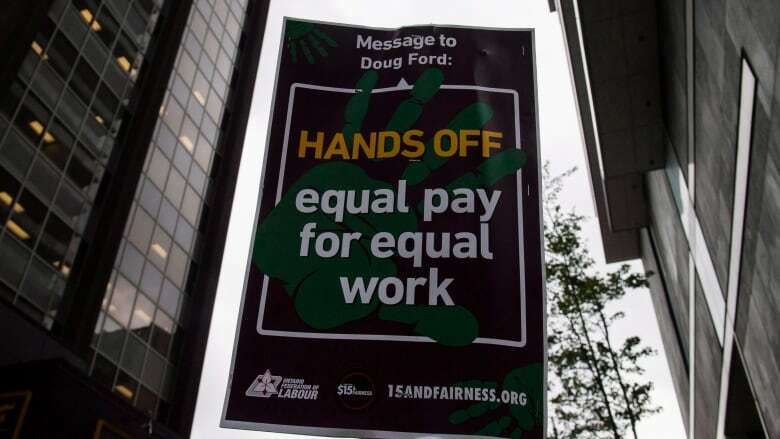 When Ontario's previous Liberal government boosted the minimum wage to $14 an hour and promised every employee two paid sick days annually, some predictions of its effect on the economy and jobs verged on apocalyptic. Now that Premier Doug Ford's government is scrapping nearly every change the Liberals made to the employment laws and freezing the minimum wage until October 2020, it's time to assess whether the claims that it's killing jobs and devastating the economy are true. The Ontario Chamber of Commerce predicted (in what it called an independent economic analysis) that the reforms would put 185,000 jobs at risk. The fact is Ontario's unemployment rate over the past year is as good as it has been this century. Every month since the chamber published its analysis in August 2017, Statistics Canada figures show unemployment in this province remaining below six per cent. This July, six months after the minimum wage increase and labour reforms took effect, Ontario's jobless rate dropped to 5.4 per cent, the lowest it has been since the year 2000. The Chamber of Commerce also predicted big price rises. But the province's annual inflation rate is running at a modest 2.2 per cent. It predicted businesses would take a $23 billion hit from the reforms. The government's own figures show business profits are up in the first six months of 2018. These are not the statistics that Ford and Economic Development and Jobs Minister Jim Wilson want to talk about when discussing Bill 148, the Liberal legislation that changed the employment laws and took effect Jan. 1. "Endless companies are heading south of the border because it's more feasible to do business down there," said Ford in question period recently. 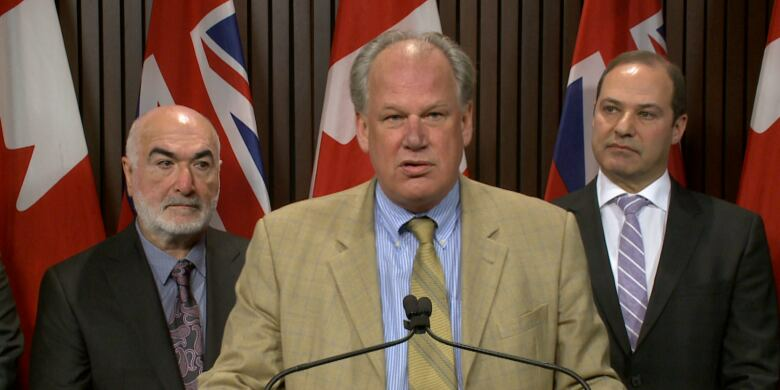 "Bill 148 is a failed Liberal policy that is driving jobs and investment out of Ontario," he told the Legislature. "It's equal to the carbon tax when it comes to job killing." "Each day companies go to Ohio, they go to Michigan they go to our competitors across the border," Wilson said at Tuesday's news conference announcing the repeal of the workplace reforms. Asked to name any of the "endless" companies that left Ontario because of Bill 148, Wilson declined. There is no doubt that the minimum wage hike and the Liberal employment reforms hit the profit margin of some companies. There is also no doubt that the changes led to some layoffs, or to some part-time workers getting fewer hours, or some companies halting plans to expand their operations. Food and beverage plants now employ more Ontarians directly than any other sector in the manufacturing industry: 130,000 people at 3,800 companies, according to Food and Beverage Ontario, the sector's lobby organization. "There is not a day or a week that goes by for the last year or two where I haven;t got a phone call or an email from the state of Missouri or the state of New York ... or even other provinces trying to attract away Ontario investment and Ontario business," said the group's CEO, Norm Beal, at a news conference Wednesday at Queen's Park. "Many, many Ontario food processors had been looking at other alternatives purely for competitiveness reasons," Beal said. "Bill 148 was the last straw." But for every piece of anecdotal evidence showing negative effects on a business, you can find anecdotal evidence of low-wage workers who are better off. The debate about the effects of wage hikes and improved working conditions is a fundamentally polarizing one, pitting employers against employees, businesses against unions, right against left, Conservative against Liberal/NDP. This encourages emotional arguments, not ones based on facts. The ideological divide is shown even in the names of the competing legislation. The Liberals called their bill the "Fair Workplaces, Better Jobs Act." The PC bill that tears up nearly every provision in it is called the "Making Ontario Open For Business Act." Get beyond the ideology, and look at the evidence, and you'll find no sign that the workplace reforms and minimum wage increase caused widespread job loss or economic damage. 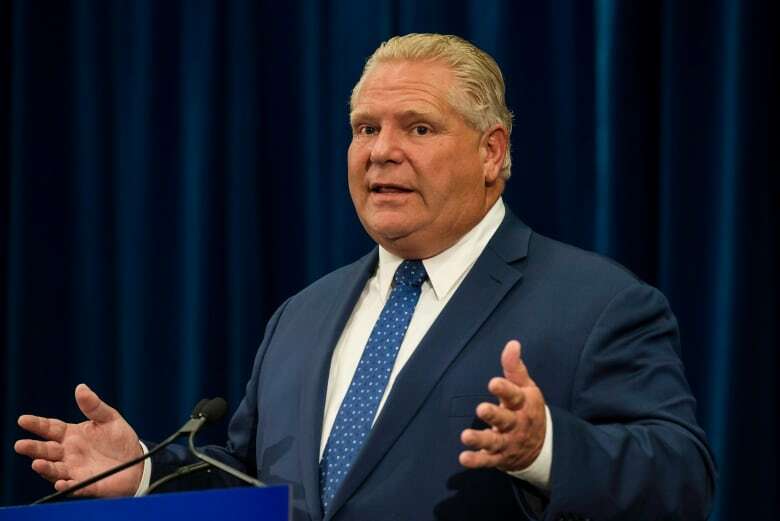 The changes did put more money in workers' pockets and less in employers' pockets, and that simple fact raises questions about the real reasons why the Ford government is making this move.